BitBay is digital assets exchange, based in Katowice, Poland. It was founded in 2014 with the goal to create a platform that had not been available at that time for the Polish market. BitBay offers a professional and intuitive platform which you could use to buy several important crypto currencies. SylwesterSuszek, the CEO of BitBay, a person with experience in the financial world, is the one that had run the business from the beginning. He had also managed to build a bitcoin exchange and contributed to the creation of other two large companies in the financial sector. One of the most important features of BitBay is by far the platform. As you can see it below, it is highly intuitive and easy to use by beginners. • You have access to exchange markets, currency wallets and investments. • Exchange fees between 0.17% and 0.43%. For a detailed table of fees, please check the website of the exchange. With BitBay you can exchange more than 10 crypto currencies and open accounts in euro, US dollars and zloty. In terms of deposits and withdrawals, clients living outside of Poland have only one option and that is the standard bank wire. BitBay is another exchange that puts safety on the first place that is why they’ve created a platform packed with features. BitBay had a good currency support and you can exchange a handful of crypto currencies with the platform. They focus on security, which is another key aspect to mention. The fees are also decently low. In terms of the negative aspects, it looks like the business was built specifically for polish clients. Clients outside Poland have limited deposit and withdrawal options. Also, the exchange is still building up its reputations. The features mentioned above qualify BitBay as a reliable crypto currency exchange. The platform is packed with features and highly intuitive. Summary: BitBay is digital assets exchange, based in Katowice, Poland. It was founded in 2014 with the goal to create a platform that had not been available at that time for the Polish market. 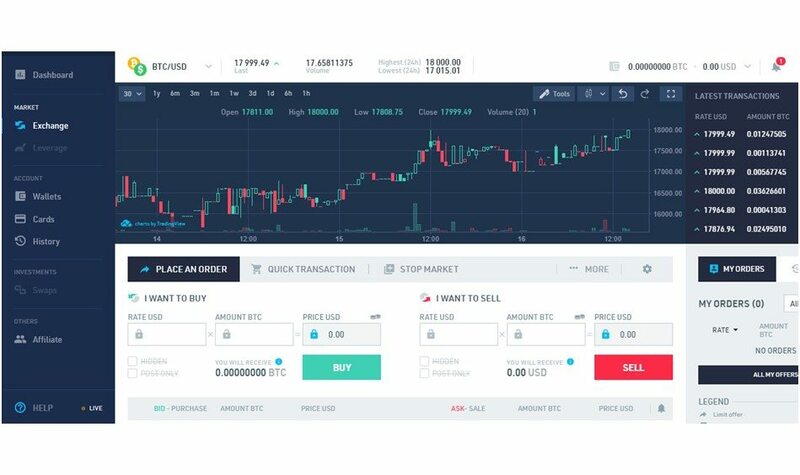 BitBay offers a professional and intuitive platform which you could use to buy several important crypto currencies. SylwesterSuszek, the CEO of BitBay, a person with experience in the financial world, is the one that had run the business from the beginning. He had also managed to build a bitcoin exchange and contributed to the creation of other two large companies in the financial sector.